According to the World Health Organization (WHO), the economic costs of asbestos-related cancers reached $2.4 billion in 2008 alone. Those costs included lost productivity and other non-medical expenses in addition to medical expenses that are directly shouldered by patients. Although health insurance coverage helps, deductibles, co-pays and other out-of-pocket expenses can quickly consume savings and lead to substantial debt. That’s why if you or a loved one has been diagnosed with pleural mesothelioma or another illness caused by asbestos exposure, it’s important to find out what types of compensation may be available to help you. An experienced pleural mesothelioma attorney can help you determine your best sources of compensation. How Can I Obtain Compensation? The only way to obtain compensation is to file a claim. Depending on the circumstances surrounding your asbestos exposure, you may have different options for filing a claim. For example, if you were exposed to asbestos at work, you may be eligible to file a workers’ compensation claim. In the early 20th century, employers in certain industries urged states to establish workers’ compensation schemes to help them avoid potentially costly tort litigation. Under workers’ compensation systems, financial compensation is available to workers who are injured on the job and, in some instances, to relatives of people who were killed at work. State administrative boards review injury claims to determine eligibility for medical care and replacement income under state law. State law will determine whether your particular line of work and injury are eligible for workers’ compensation. If you or a loved one was exposed to asbestos during military service, you may be eligible for veterans benefits. The U.S. Department of Veterans Affairs (VA) offers benefits to eligible veterans who were exposed to environmental hazards such as asbestos during their service. Shipyard building, mining and demolition are just a few of the military occupations that may have resulted in asbestos exposure. Eligible veterans who develop pleural mesothelioma or other asbestos-related illnesses may file claims for disability compensation and health care benefits. Survivors may also be eligible for financial assistance. In addition to workers' compensation and VA benefits, compensation may also be available from manufacturers of asbestos-containing products, premise owners and others who fail to adequately warn about asbestos dangers. Victims of occupational asbestos exposure and those who were exposed outside of their occupations may be eligible to file asbestos litigation claims against these defendants. In fact, if you are eligible to file a workers' compensation or VA claim on the basis of your occupation, it's usually a good idea to also talk to a pleural mesothelioma lawyer about holding manufacturers and others who may be responsible for your injuries accountable. Because workers' compensation and veterans' benefits are usually modest, filing an asbestos personal injury lawsuit may offer you the best opportunity to obtain substantial compensation to cover the high costs of pleural mesothelioma or other asbestos injuries. However, it is not always possible to file a lawsuit against some companies. Some manufacturers that have incurred substantial asbestos liabilities have sought bankruptcy protection, shielding them from further lawsuits. In order to receive compensation from these companies, asbestos victims and their survivors must file asbestos bankruptcy trust claims. Trusts pay claims based on a predetermined schedule of compensation. The amount available depends on the type of asbestos injury and other factors. Why Should I Consider Litigation If I'm Eligible for Other Types of Compensation? Workers' compensation, VA benefits and asbestos bankruptcy trusts typically only pay a fraction of an asbestos victim's expenses. This is because there is a limited amount of funds available to disburse to victims under those systems. Compensation under the tort litigation system, however, is determined by the value of the individual plaintiff's losses and the percentage of liability for those losses attributed to each defendant. In other words, juries base awards on the value of a plaintiff's injuries, not a defendant's ability to pay. Practically speaking, asbestos litigation defendants are usually accused of widespread injuries and are often involved in multiple lawsuits. Given the long latency period for asbestos-related illnesses like pleural mesothelioma, they could face new lawsuits for decades to come. For this reason, there are concerns that companies will run out of money to pay future claims. Indeed, these concerns form part of the rationale behind establishing asbestos bankruptcy trusts. But the law is clear that people who have been injured due to the negligence of others may seek compensation for their injuries from those responsible. In more than 40 years since asbestos litigation began, Congress has not developed an alternative compensation scheme for asbestos victims and their loved ones. So asbestos litigation will likely remain the most significant source of asbestos personal injury compensation for the foreseeable future. Although there may be substantial benefits to filing an asbestos lawsuit, it is important to remember that the decision to sue should not be made lightly. At some point, you and perhaps your loved ones will have to testify about not only the circumstances around your asbestos exposure but also the hardships your injuries have caused. In addition, defendants sometimes resort to questionable tactics like delaying depositions for severely ill plaintiffs in hopes they will die before their claims are resolved. But although other types of compensation systems don't involve going head-to-head with a defendant, claimants should keep in mind that they will still have to navigate procedural hurdles and prove their claims in order to receive compensation. Administrative burdens and claims processing delays under these systems can be frustrating. Whether you choose to file a claim in or out of court, or both, it’s a good idea to seek legal assistance so you don’t have to go it alone. If you believe that you or a loved one may be eligible to file a workers' compensation, VA benefits, asbestos litigation or asbestos bankruptcy trust claim, consider talking to a pleural mesothelioma attorney about all of your options for compensation. 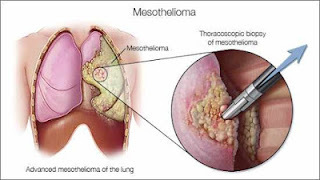 There has been no response to "Mesothelioma Compensation and it's USEFULNESS"